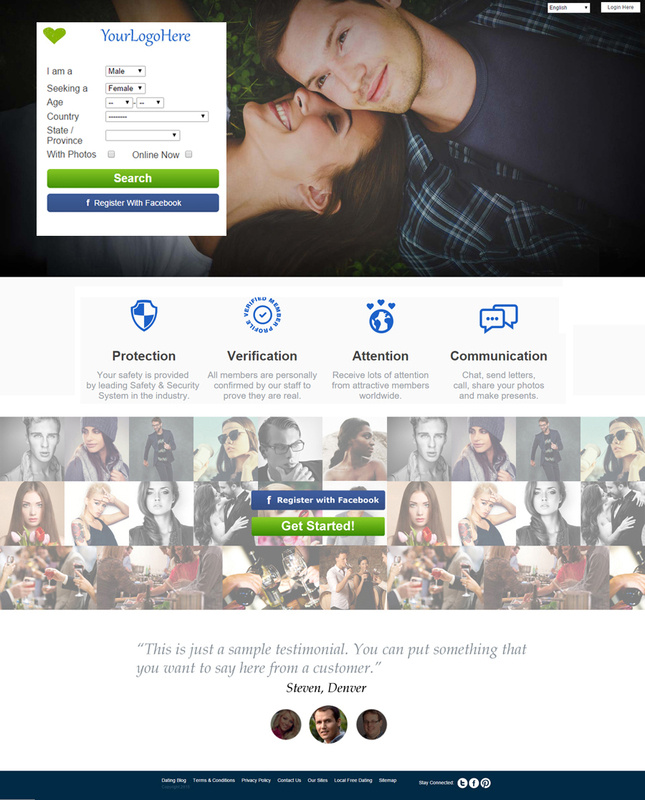 AdvanDate has released the new Premium Dating Template. This new dating template features long form index page that includes Register and Login right from the index page as well as a Facebook Login/Register. This makes it easier for your visitors to join your site with one click right from the index page. This new premium dating template also features enhanced graphics on the page as well as social icons including Twitter, Facebook, Google Plus and Pinterest. It also features a testimonial that you can edit for the main index page. This new premium dating template is designed so that you can easily swap out the images on the page. If you want to change the photo of the couple or change the collage photo below then you simply replace them with your own images to customize the look and feel of the index page. The internal guest/members area has been changed to reflect the colors of this new index page. If you want to change the colors you simply change the colors via the style sheet in the admin area.